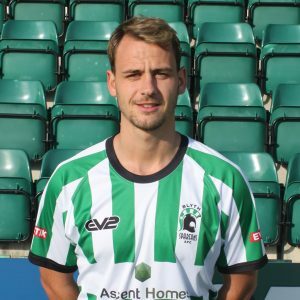 Blyth Spartans have captured the signature of former midfielder Lewis Horner for a second spell at Croft Park. The 25-year-old featured for the club during the early part of the 2013/14 season – after impressing for Newcastle Benfield in a pre-season friendly. His blistering form not only earned him an England C call-up during his time at Blyth, but it also paved the way for him to join then-Scottish Premiership Inverness Caledonian Thistle after just one season. Horner – who started his career at Hibernian – was part of Caley Thistle’s 2015 Scottish Cup-winning side, but was released from the club earlier this summer – after Inverness suffered relegation from Scotland’s top tier last season. After featuring for Spartans during the 1-1 draw with West Auckland Town at the beginning of pre-season, the midfielder is delighted to be back on familiar ground on the Northumbrian coast. Horner revealed: “I’m very happy to be back. I was here a few years ago and it looks like the club has certainly progressed since I was last here. “Obviously, moving up the league has helped with that. Hopefully, I can help the lads this season in the National League North. As part of his move, Horner will be swapping professional football north of the border for part-time English Non-League. However, he also revealed that he has moved to Blyth in order to increase his game time next season. Horner added: “Both leagues present different challenges, but I think it’s about getting games really. I was up there for three seasons, but I must have only played about 50 games. “Last season wasn’t too good either, because I got injured. I think getting a consistency of playing week in and week out and putting in good performances can only help me. 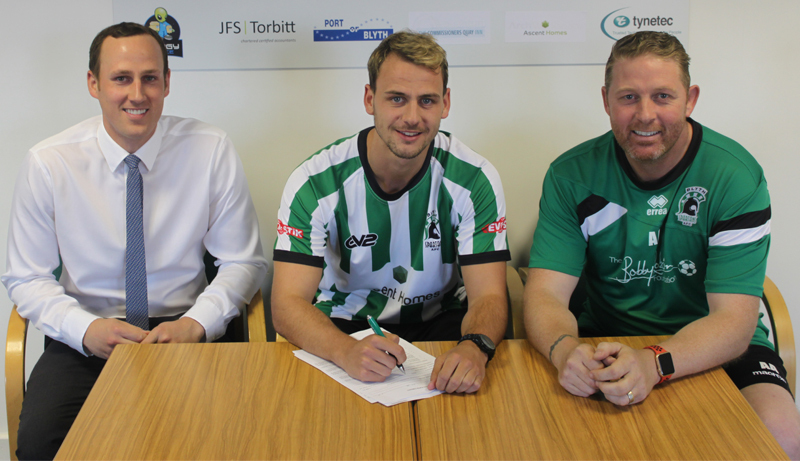 Blyth boss Alun Armstrong struggled to hide his delight that Horner had joined the club and described his latest signing as a “massive boost” to his squad for next season’s Vanarama National League North campaign. Armstrong stated: “He’s a huge asset for the club. When ‘Hooksy’ [Neal Hooks] told me that he wanted to come and train with us to keep his fitness up, we always hoped that we might get him. “Obviously, we didn’t hold out much hope with him having come from a Premier League club in Scotland – albeit they got relegated. He’s been playing professional football up there though, so to get the lad tied down is a massive boost for the club. “We’ve discussed it and the only places that we’re probably a bit light are in the middle and up top, but adding Lewis to the squad is going to give me a few headaches – as it strengthens an already really strong midfield.